If you need a taxi or mini bus in Stratford Upon Avon, Mark’s Taxis & Mini Bus Hire provide a reliable and professional service with affordable transport for up to 16 passengers. With over 20 years of experience you can count on us to get you where you need to be on time and in comfort. To book your taxi now or for more information, please do not hesitate to give us a call on the number above. With a comfortable 16 seat executive minibus and a 16 seat minibus we can offer affordable transport for groups of up to 32 passengers. If you need transport for weddings, parties, nights out, racing or airport transfers give us a call and we’ll do our best to accommodate your needs. We also provide personalised tours of the region with excursions to all the beautiful village towns of the Cotswolds. Whether you are looking for airport runs, taxis or mini bus hire in Stratford upon Avon, Mark’s Taxis and Minibus Hire will get you where you need to be.You can reach us via our contact page or by calling us using the number at the top or bottom of this page. When you need taxis or mini bus hire in Stratford upon Avon, give us a call! 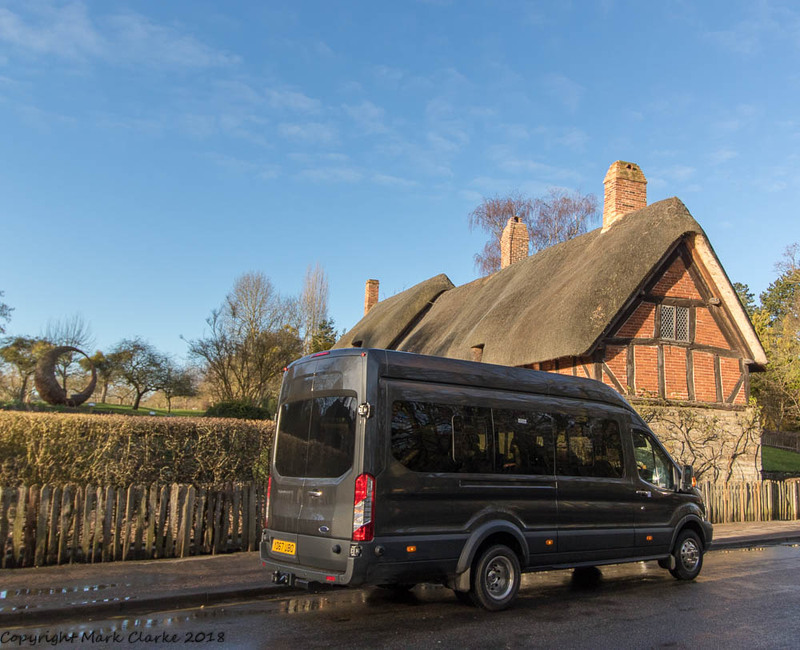 Whenever you require minibus hire in Stratford upon Avon and throughout Warwickshire, call Mark’s Taxis and Minibus Hire today! To book your taxi now or for more information, please do not hesitate to give us a call. We can accommodate groups of up to 32 people.